Plymouth will host the biennial conference, which aims to launch a debate on how planners and urban designers can help create sustainable cities. Plan your visit with maps and information on travel, journey times and parking. We are pleased to have collaborated with GWR to offer our delegate discounted train travel – visit www.gwr.com/conferences. We advise that all delegates travelling to the conference have proof of attendance such as a confirmation letter/email or an entrance ticket, etc. When checking tickets the on-board manager may request to see this along with the travel ticket. The central theme of this conference is to investigate planning in places which are defined by their peripherality or location between two or more boundaries. The challenges of planning and regeneration of coastal settlements provides an obvious focus, but the theme might also encompass the planning of places at the edge of their territories, in a ‘frontier zone’, on a migration route or at a transition between different physical environments. 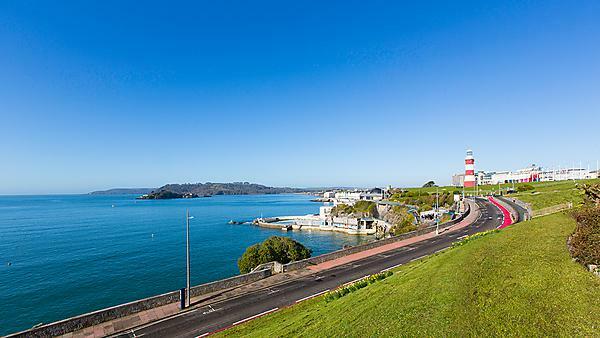 The European Council of Spatial Planners (ECTP) Biennial conference is in association with Plymouth City Council, Destination Plymouth, the University's Planning School and the Royal Town Planning Institute (RTPI). We are really keen to attract a wide range of speakers from spatial planners across Europe to populate our programme. If you are interested, please submit your proposal to present via email (ECTPPlymouth@plymouth.ac.uk) by Tuesday 30 April 2019.
a maximum of 300 words of that you intend to say. Please note that acceptance of a proposal still requires payment of subscription to the conference. The final conference programme will be available soon. Lord Kerslake – former Head of Civil Service and chief executive of a number of government departments, agencies and local authorities. Head of British Home Civil Service (2011–2014). Former Chief Executive of the London Borough of Hounslow, Sheffield City Council, Homes and Communities Agency and Permanent Secretary of the Department for Communities and Local Government. Ronald Waterman – a specialist in coastal development and land reclamation based on the principle of ‘building with nature’. He provides consultancy services to governments and international organisations in 50 countries. Professor Carola Hein – Delft University of Technology, Netherlands. Architecture and urban planning in port cities. The conference dinner will be held at the Orangery in Mount Edgcumbe Country Park on the banks of the River Tamar. The dinner will be preceded by a boat trip along Plymouth’s waterfront, which will incorporate some of its recent and current regeneration projects and offer a different perspective to the city from the water. Drinks will be served aboard the boat. The achievement of the United Nations’ Sustainable Development Goals (SDG) represents a considerable challenge for peripheral settlements, particularly in light of international frontiers, coastal urban regeneration projects, the emergence of the 'blue economy', new environmental designations and climate change (SDG 11.4 and 11.5). This conference proposes to explore the challenges facing peripheral settlements in the implementation of SDG 11 (to make cities and human settlements inclusive, safe, resilient and sustainable), with the purpose to establish best practice in planning across Europe (SDG 11a). Coastal settlements across Europe have experienced considerable restructuring over the last thirty years or so, yet have been neglected in European and national public policy and have been described as the ‘least understood problem areas’ (House of Commons Select Committee, 2007; Beatty and Fothergill, 2003). Port cities have experienced dereliction from the consequences of the globalisation of trade, changing shipping techniques and deindustrialisation. Seaside resorts have suffered from an outdated infrastructure and increasing competition, while coastal fishing and market towns have been affected by changing agricultural and fisheries policies. Coastal settlements are amongst the most deprived areas in many European countries, albeit with substantial inequalities in population structures, employment, health, education and skills. In addition, coastal areas are especially vulnerable to the impacts of climate change, which threatens significant centres of population, infrastructure and industry, as well as important natural habitats and heritage. Regeneration strategies can be thwarted by the peripherality of coastal settlements, combined with poor transport connections, reduced catchment areas and difficult or protected topographies. Marine spatial planning offers new challenges and opportunities for integrating land-based and marine activities. Peripheral territories and urban spaces can become places of new opportunities for connections between spaces and territories in the frame of European Territorial Agenda and the European Urban Agenda. These define European territories and cities under a common perspective of European territorial cohesion and inclusive cities under SDG 11 (to make cities and human settlements inclusive, safe, resilient and sustainable). Cities on the edge are cities located far from the centre of their country. They are sometimes closer to neighbouring territories in terms of their potential to develop their position "on the edge" and their connectivity within Europe and the world. Border cities close to the boundary between two counties, states or regions have highly cosmopolitan communities based on the populations travelling and trading through the town. They can also be flashpoints for international conflicts, especially when the two countries have territorial disputes. This theme also incorporates the relationship of cities with physical limits, such as water (particularly by rivers or lakes, urban rivers corridors, and urban generation around the water), but also relationships with other peripheral limits, such as nature urban voids, transitory zones in the city with people coming and going and other edges representing the transition from one physical environment to another (green, peripheral rural areas). The conference will be organised around a number of themes – each with a keynote plenary, associated workshop presentations and field visits. The ECTP Young Planners Workshop is scheduled as a preliminary event of the Biennial in order to encourage debate among and with young planners.